Benefit Performance for Nancy Shaw Defense Fund. With Pipa Piñon, Lisa Pawlak, and Pat Smith. Poster. Early 1980s. 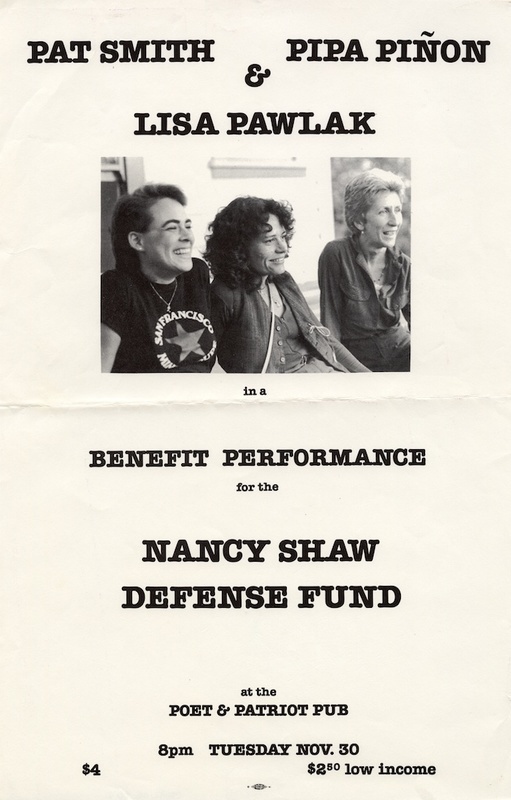 “Nancy Shaw defense fund,” Digital Exhibits, accessed April 20, 2019, https://exhibits.library.ucsc.edu/items/show/1891.